Adrian Bridge is focused. You can see it in the way he walks across the land, plucks an orange from a tree, thumps a barrel, mimics the stomping cadence in the lagare, or hunkers down in the dirt to illustrate a point. To call him passionate would be an understatement. No, Adrian Bridge, CEO of the Taylor's Fladgate Partnership is beyond passionate; he is completely attuned and fully engaged in everything he turns his attention towards--from vineyards, to wine tourism. Bridge has great presence and strikes me as the type of man who could introduce himself by saying -- “Bridge. Adrian Bridge.”-- without mocking James Bond. On a chill February day, just outside Pinhão on the Douro, Bridge escorted us through Quinta da Roeda, the Croft property purchased in 2001, where Croft Port red, white and pink is produced. Much of the harvest work is by hand, but with a technological assist. In the lagares, humans still tread the grapes, but a sophisticated piece of machinery (similar, to the one at Quinta Nova) supports the treading with a custom crush device set on rails that skims across the shallow granite vats and adjusts the pressure according to the liquid levels. Out in the vineyards skilled workers perform their jobs with the aid of high technology. The day we visited, the vineyard crews were pruning the cane using pneumatic snips calibrated to cut the vine in a precise way each and every time with no human error. The shears are set to cut a certain diameter, keeping fingers safe. Apparently if you stick your finger in the clipper and pull the trigger it will not cut you, but no one volunteered to prove the point. At first glance the vineyards look like they just magically planted themselves in perfect alignment with the land, but the slopes at Croft are laid out with lasers to mitigate erosion and the tenets of bio-diversity are at play here in the fields of the lords of Port. After the tour of Croft we adjourned to the rustic yet chic Quinta do Panascal for a luncheon where we sampled several Fonseca and Taylor’s Port offerings. The Fonseca Siroco white port makes for a fine cocktail and it set the tone for the rest of the lunch, which included red and white table wines and several top ports from Fonseca and Taylor’s. The traditional Portuguese dishes were prepared with flair and served with a touch of elegance that seems to be the hallmark of all the Fladgate port wines and guest properties. The vineyards under the Fladgate Partnership include Croft, Taylor’s and Fonseca. And like Adrian Bridge, they all have a singular focus on the end result, be it the exquisite expression of grape in the glass, or in the case of wine tourism, the embodiment of hospitality in the service offered at the Yeatman-- the new ultra luxury wine hotel, in Vila Nova de Gia across the river from Porto--the latest jewel in the crown of the Fladgate operation. Next Post Up--Foodie Feast at Rui Paula's DOC & Party at Quinta do Pégo! So I got the chance to give away two tickets to the San Francisco Rhone Rangers event that took place last weekend in my post There's a Name for My Condition: Rhone Ranger. 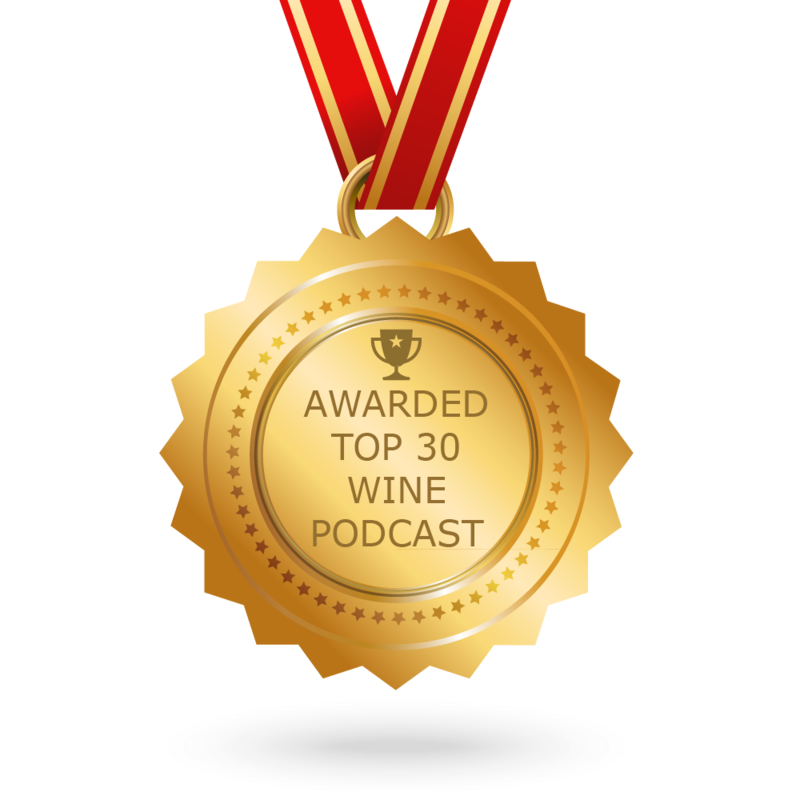 The winner was Rick from @cheers2winecom. 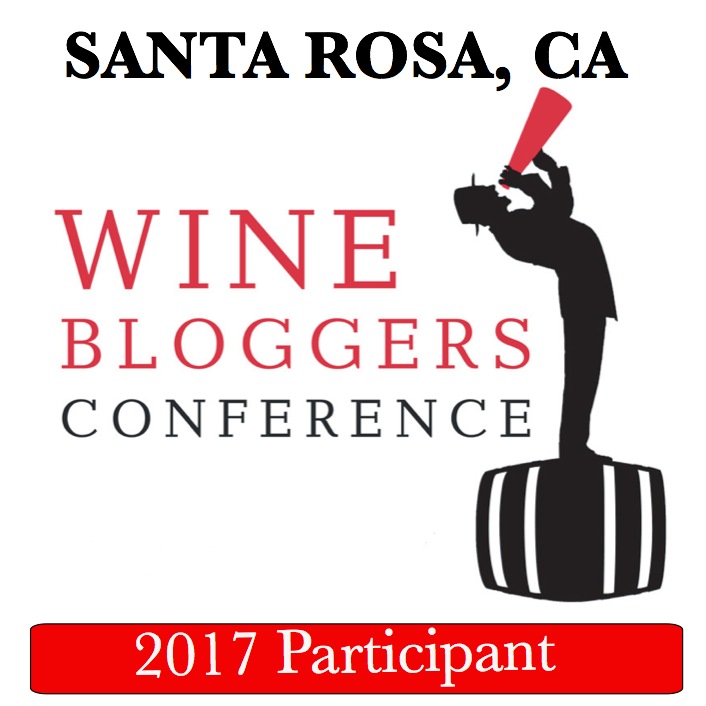 That post was also part of a blogging competition that awarded tickets to the event to a wine blogger-- with the Grand prize being a full weekend pass including the Winemakers dinner on Saturday night. Hint hint...your soaking in it. Yup it was me! I was surprised and excited to learn I was the winner of the whole shebang. Thank you very much Rhone Rangers judges! I was only able to attend the Saturday events but they were incredible. At the Mourvedre seminar moderated by Jon Bonne I really enjoyed the Tablas Creek Vineyard 08 from Paso Robles and we also tasted my old stand by and BFF the 08 Wine Creek Ranch Mourvedre by Quivira. 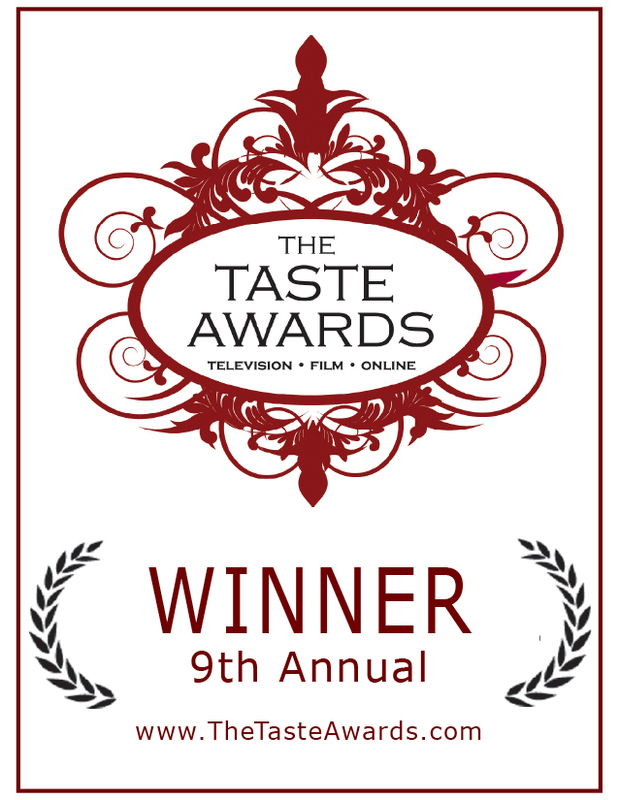 Next... on the the Gala Winemakers Dinner catered by Girl and the Fig followed by the Rhone Rangers Scholarship Fund auction. Prior to the dinner a walk around tasting reception was held with the wine makers. Wow! There were some real standouts that were new to me. I was especially blown away by selections at Quady North from Southern Oregon. The auction action was fast and furious and raised funds for the scholarship, and all the incredible wines served at the event raised serious fun for all the attendees. 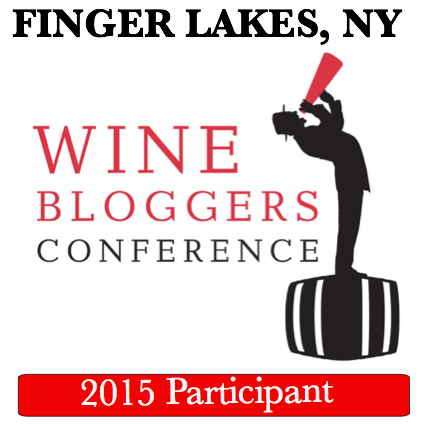 If you love rhones, become a Rhone Ranger Member and be sure to catch the event next year. Like I said in the Portugal Part 4 post, visiting the Port cellars in Oporto without a trip to the growing region in the Douro, would be like visiting a museum of flight and aeronautics, but never flying in an airplane. You miss a huge part of the experience if you don’t go to the Douro. Sure there are pictures and videos of the harvest in the port houses, but nothing compares to seeing the steep vineyards up close and personal. The Douro wine region has some of the most astounding scenery in the world with stacked terraces of granite and schist that form undulating curves as they follow the contours of the river. I’ve never seen anything quite like it. It’s humbling to realize the amount of work it takes to get those grapes off the vines and into the wine on your table. But there’s more than grapes in those hills and valleys along the Douro—there are 5 star hotels, guesthouses and some top-notch restaurants too. One stand-out for both wine and hospitality is Quinta Nova de Nossa Senhora do Carmo located just outside of Pinhão on the north bank of the river. Click on the slideshow below for a little taste of Quinta Nova. The property offers spectacular views over the vineyards and across the river. The original 18th century manor house has been converted to a hotel. A chapel on site across from the lodge dates from 1764, and honors Nossa Senhora do Carmo--the patron saint of the original riverboat crews. The 11-room lodge has a relaxed family atmosphere and although we were there in the winter, the pool and hiking trails top my reasons for plotting a return visit in warmer months. But my number one reason to return would be for the wine. It’s literally “Come for the wine--and stay for everything else!" The table wines at Quinta Nova were my favorite of the entire trip. Quinta Nova sold their port wine business a while ago, and now focus on table wines. There are so many great wines coming out of the Douro, but I ended up ordering Quinta Nova selections each time I found them on wine lists during the rest of my stay in Portugal. A remarkable part of the program at Quinta Nova is the all woman crew. The harvest is carried out completely by hand and on foot in the narrow terraces where no machines can pass. Men assist during the harvest to transfer the heavy baskets of grapes to containers and trucks, but women harvest the grapes and do all the hand sorting as well. The Quinta Nova philosophy is that the women have a finer sensibility for detecting the quality of the fruit and do a better overall job in these tasks. At the crush pad, the juice is cooled before pressing to avoid shock in temp changes. Everything is handled with a gentle touch and Quinta Nova is one of the only wineries in the entire region to have a Portuguese designed treading machine that simulates foot crushing by the vignerons. The machine is fully adjustable and can be programmed to recreate the precise treading tempo desired for each stage of the crush. As it becomes harder to find people to do the treading work, the machine enables the process to be replicated and ensures the continuity and consistency of the crush. 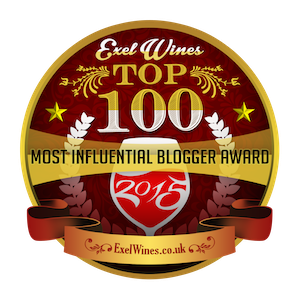 In my last post I wrote about some stops along the wine road during barrel tasting weekend. But we made one last stop. Stop 5: Shane Wines and Kosta Browne. 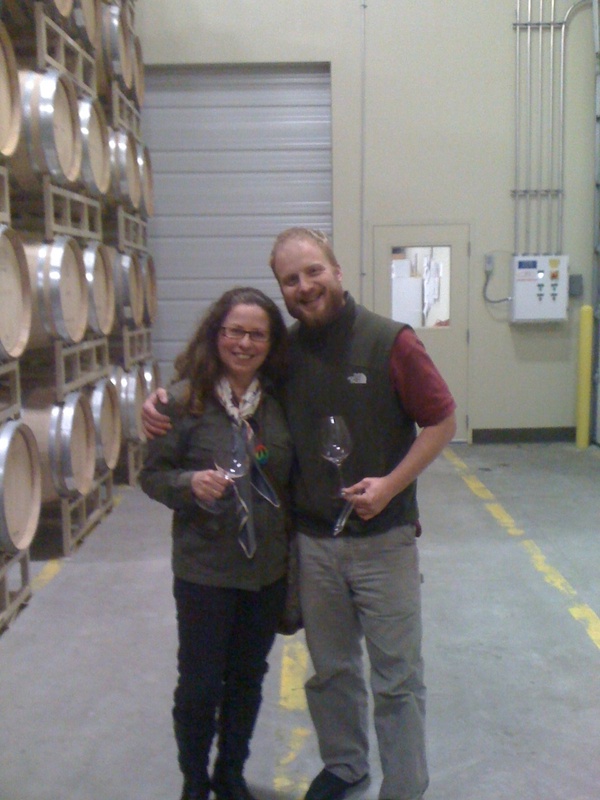 Neither Shane or Kosta Browne was on the official barrel tasting agenda but we were there along with @WhatDebPours and @SonomaWilliam for a pre-arranged tasting with Shane Finley Associate winemaker for Kosta Browne and Owner/Winemaker of Shane Wines. 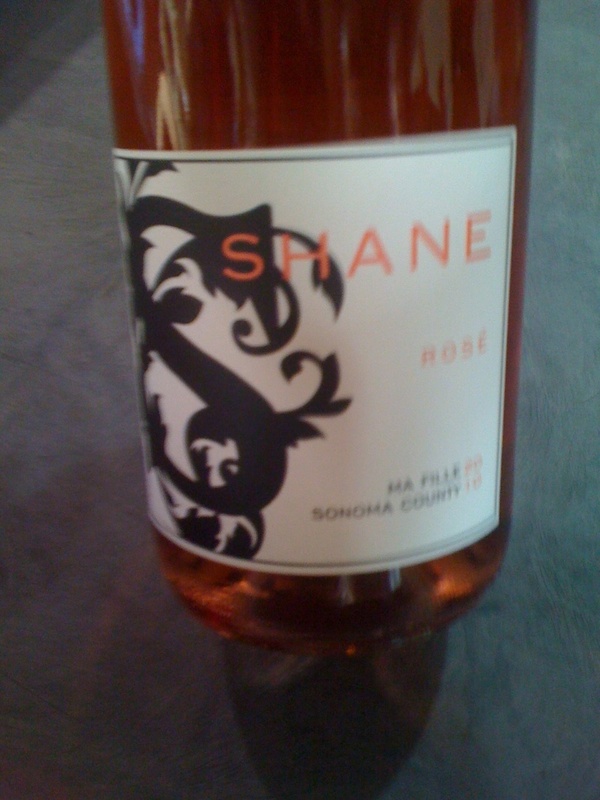 First we tasted the 2010 Ma File Rosé. 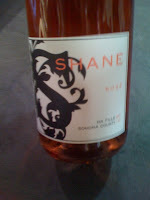 I love Shane’s Rosés and their light Provencal style. This vintage is a spicy delight. I bought a case. Next we tried the 2010 Judge Syrah Vineyard Bennett Valley, the 2010 Jemrose Syrah also Bennett Valley and the 2010 Charm Pinot Noir from Russian River Valley. 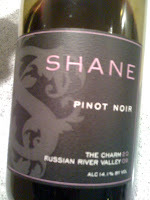 The Charm was Shane’s first Pinot Noir and it SOLD OUT in less than two weeks. Let that be a lesson to you. One taste and you would beg for it. As they say in South--"Tastes so good, makes you wanna slap yo' momma." But the bottle pic here may be as close as you will get. 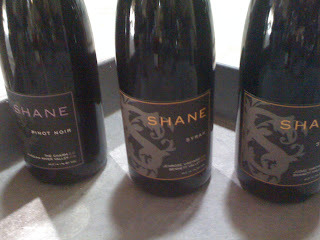 After tasting the Shane current selections we tried a barrel sample of Shane’s Grenache Blanc. And Wooo Weeee, Hot Diggity! All I can say is if you get an email saying this is available for purchase, don’t delay…buy it pronto. I learned my lesson with the Pinot. 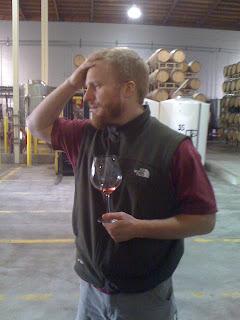 We also tasted Kosta Brown Keefer Ranch Vineyard Green Valley RRV 2006 and 2008 Pinot and several barrel samples of Kosta Browne from various vineyards. It was a great privilege to taste all of them. 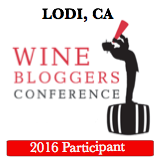 Last weekend and this weekend the Annual Sonoma Wine Road Barrel Tasting Event is on. It's tons of fun, but I usually don’t go for two reasons: 1: It’s crowded. 2: It’s crowded. But this year we decided to do a very local barrel tasting tour and visit wineries less than 6 miles from our house. 2009 Zinfandel Mancini Ranch 2009 Zinfandel Zeigler Vineyard 2009 Syrah Trenton Estate 2009 Syrah Great Oak Vineyard 2008 Cabernet Trenton Estate. 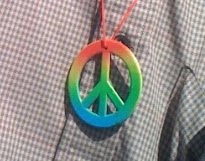 The folks at Martin Ray were in an 80’s mode wearing neon green, orange, and pink and offering free (temporary) tattoos. I liked the Sauvignon Blanc they poured in the tasting room and the Pinot barrel sample. I am a fan of Dutton Goldfield wines, so it’s hard to believe this was my first visit to their new tasting room since they opened almost a year ago. I guess it’s like the Empire state building or Statue of Liberty, you take it for granted if you live there and drive by it all the time. The new tasting room is open and airy with a great patio set up out front perfect for relaxing in the afternoon sun. 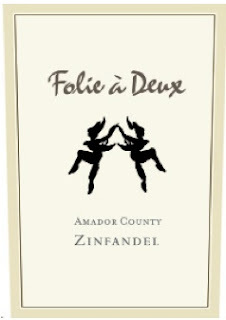 Of the five barrel samples there, I liked the 2010 Fox Den Vineyard Pinot Noir from the Green Valley of Russian River appellation and the 2010 Morelli Lane Zinfandel Russian River Valley. 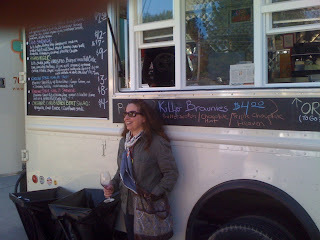 The Morelli smelled like a Pinot and tasted like a Zin! It’s two wines in one. 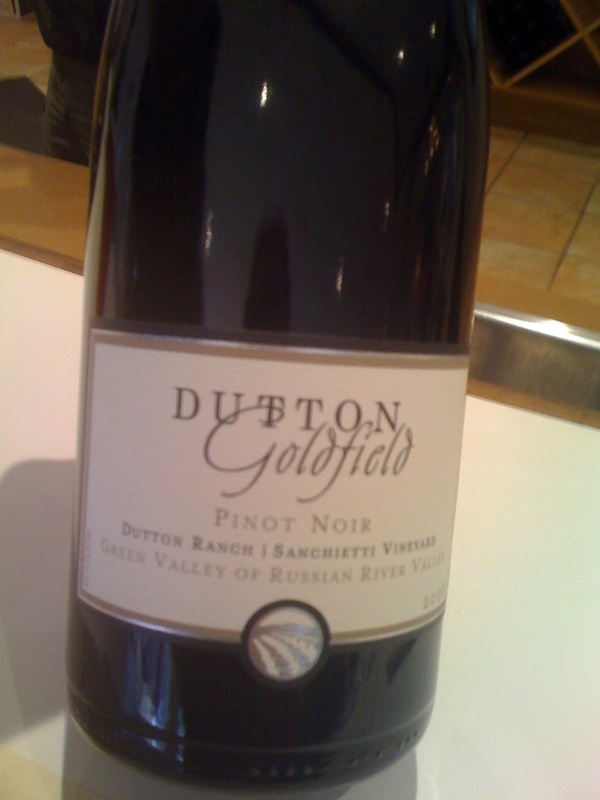 In the tasting room Sarah Kelley poured us the lovely 2008 Dutton Ranch Chardonnay as well as the 2008 Devils Gulch Vineyard Pinot from Marin County and the 2008 Cherry Ridge Syrah (also Green Valley Russian River). 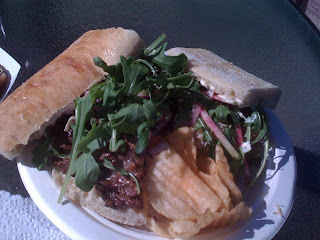 We also tried the 2008 Sanchietti Pinot that I loved so much in the past. This wine is close to being sold out and I snagged a few bottles from the quickly dwindling inventory. I noticed almost everyone who tasted the Sanchietti bought some on the spot. 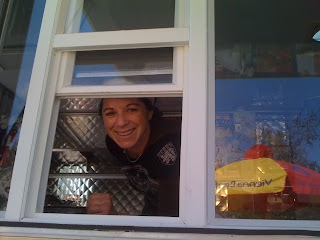 After the tasting it was time for some food and lucky for us Sarah Piccolo of Fork Catering Food truck and Jeff Tyler of Chicago Style Hot Dogs were both on hand in the parking lot serving up their specialties. 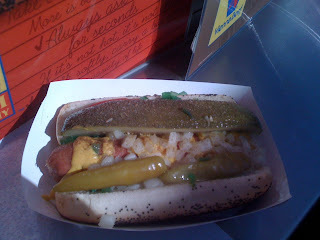 We got a Chicago dog with EVERYTHING and a Crab roll sandwich and a Mongolian Beef sandwich from Fork. Look for Tyler and Sarah next time you are out and about. We made one last stop at Shane Wines and Kosta Browne which was not part of the Barrel Tasting Trail and I’ll tell you all about it on the next post!